Riccardo Tisci: What do you feel Dalí taught you? Amanda Lear: He taught me how to be an entertainer. Hanging out with him was a bit like being around Elvis because he behaved like a rock star, surrounded by all sorts of hangers-on. Whenever there was a camera crew around, immediately he changed the way he spoke and moved. So from him I learned how to manipulate the media when you want people to talk about you. 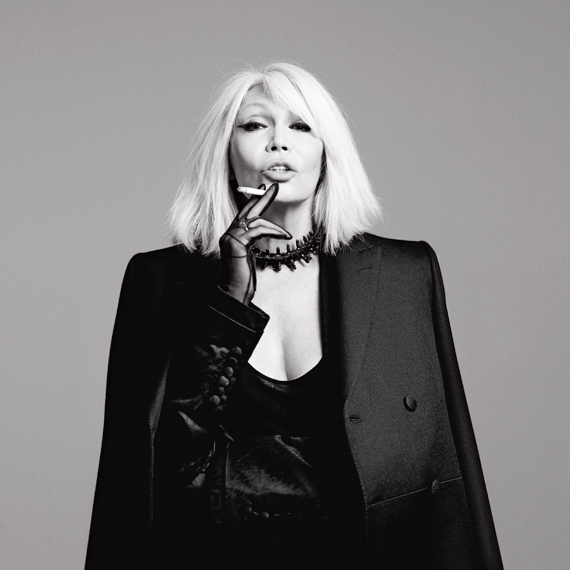 In pieno stile Interview, V magazine pubblica online un'interesssante chiacchierata-intervista tra Amanda Lear e Riccardo Tisci, corredata da un set di foto di Willy Vanderperre in cui Amanda indossa abiti Givenchy.